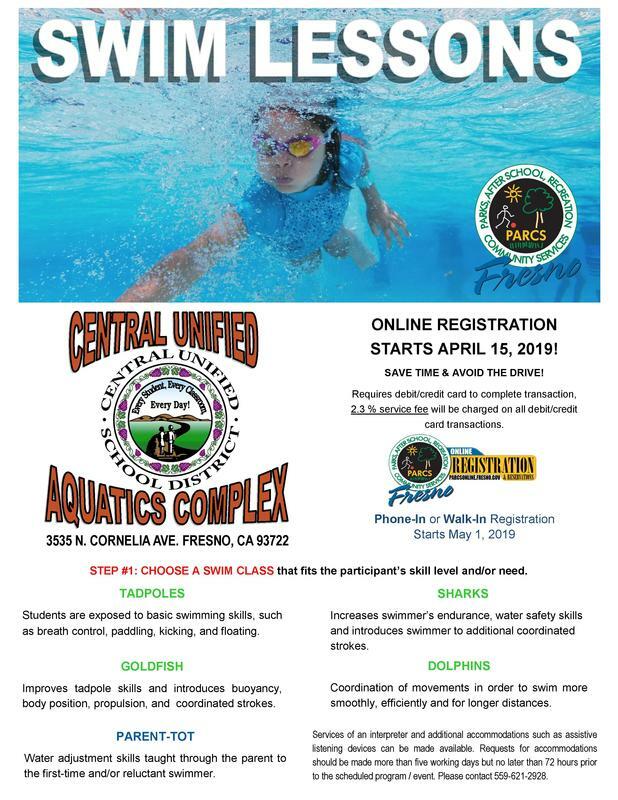 The Central Unified Aquatics Complex and Fresno PARCS & Rec are once again offering some wonderful swim lessons that are perfect for all skill levels and ages. Online registration begins on Monday, April 15 and phone/walk-in registration begins on Wednesday, May 1 at the Ted C. Wills Community Center. To register online, please access this link. For detailed information about sessions, times, and dates, please see the attached schedules.